Old Cloverdale has a new identity. Paired with its historic homes and tree-filled parks, a new face to this beloved neighborhood is emerging. Today Cloverdale is the spot to be, full of people and events. And 48 Midtown is at the center of it all. Each residence at 48 Midtown features the conveniences of new construction, the efficiency of modern technology, and the finest finishes. With balconies, private parking, and an unrivaled location, 48 Midtown offers something for every age and interest. Imagine yourself at cocktail hour, walking with friends to enjoy dinner or catch a film. The nights are exciting, and the mornings are serene. Enjoy the atmosphere of Cloverdale and the convenience of 48 Midtown! Each residence features a comfortable open floor plan with large kitchen, dining and living areas. Kitchens include granite counters and premium appliances. Bedrooms are spacious and bathrooms offer a modern feel with a variety of finishes including granite counters and wide shower heads. Spacious walk-in closets, ample storage, and insulated windows offer incredible efficiency and convenience. 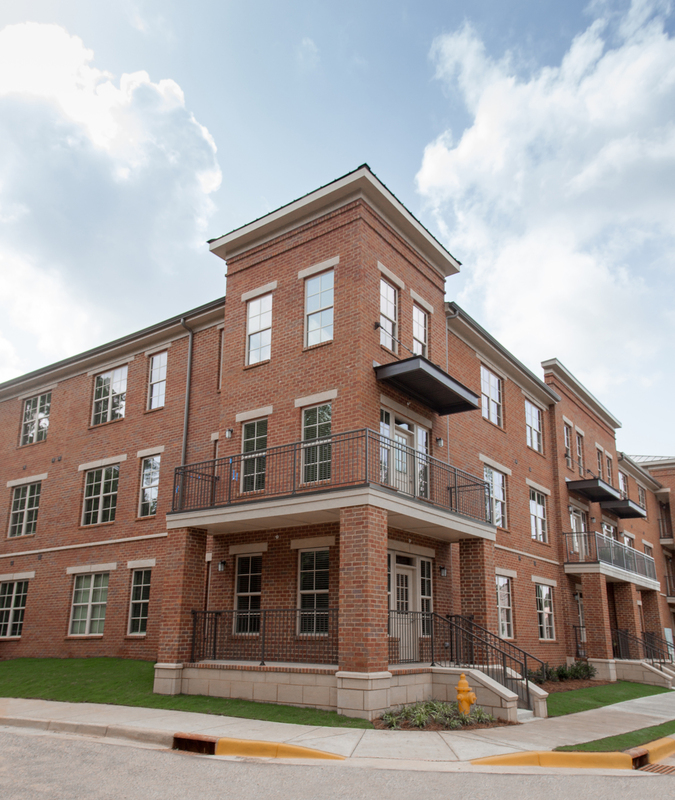 Balconies and porches add to the charm of the residences, while the location makes you want to call 48 Midtown home. To view the finishes and design details at 48 Midtown, visit the Floor Plans page here. The location in historic Old Cloverdale is second to none for dining, entertainment, and shopping. In addition for the convenience of the 48 Midtown residents, on-site gated parking is reserved for residents, adjacent to the unit's main entrance. And residents may use any of seven stairwells for convenient access to your home.